A number of local pharmacies offer a prescription collection service. Once you have ordered your prescription it will be collected by your preferred pharmacy. Please inform the administration staff if you wish to have all your prescriptions forwarded to the pharmacy. Please allow additional time for your prescription to reach the pharmacy. Pharmacies not included on the pharmacy list should contact the Practice Manager to arrange a collection service. PLEASE DO NOT ORDER NON-REPEAT MEDICATION VIA THE ON-LINE SERVICE. THESE INCLUDE ITEMS SUCH AS: ANTIBIOTICS FOR INFECTION, ANTI-DEPRESSANTS OR SLEEPING TABLETS. These can be requested by clicking the online service above or calling at reception, in writing enclosing a stamped addressed envelope, telephoning the surgery or collection by a designated pharmacy (speak to reception for further information). The issue of such items is at the doctor’s discretion. Please give 24 hours' notice. These items must not be ordered via the online service. Monthly medication is placed on a repeat screen on the computer system (please note that not all medication will be placed on this screen by the doctor). Requests will be taken after 11.30am and require 48 hours' notice to process. *** Please note prescriptions cannot be processed when we are closed or during bank/public holidays. Please allow 48hrs notice from the day we open to process your request + an additional day if collecting from a nominated Pharmacy. Unfortunately we cannot guarantee that prescriptions will be available from your nominated pharmacy within the timeframe specified below as this is a service offered and operated by the pharmacy. As a practice we are reviewing our prescribing choices to ensure best use of NHS resources. We do not expect you to experience any adverse effects as a result of these changes. We hope that you will support the practice as we endeavour to make cost savings in the prescribing budget. Being aware of kidney function is important in order to maintain health. Many people live with mild and moderately low kidney function, which is often referred to by health professionals as early stage chronic kidney disease or stage 3 CKD. People with mild and moderately low kidney function are at greater risk of developing kidney damage during periods of acute illness such as infections caused by flu or gastroenteritis. This is known as acute kidney injury or AKI. AKI is common and affects over 20% of people who have an unplanned hospital admission. It is more common in the elderly and in people with multiple long term conditions. AKI is harmful and is associated with an increased risk of end stage renal failure requiring dialysis or kidney transplantation as well as a greater risk of death both in the short and long term. AKI is costly and results in more frequent, longer and more intensive admissions to hospital. AKI is also preventable. Recommendations to achieve this include keeping hydrated during episodes of acute illness, such as flu. It is also recommended that people taking certain drugs called ACE Inhibitors, diuretics or non-steroidal anti-inflammatory drugs (e.g. 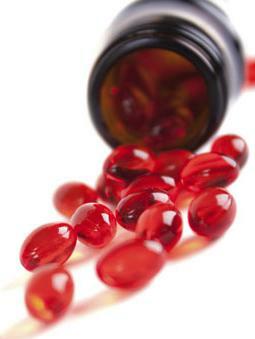 ibuprofen) should temporarily stop these medicines during episodes of acute illness. Then STOP taking the medicines listed below. You can restart when you are well (after 24-48 hours of eating and drinking normally). If you are in any doubt, please contact your local pharmacist or the surgery. Please allow 48 hours, excluding weekends and Bank Holidays, for your request to be processed. If you have requested that your prescription should be sent to a pharmacy, please allow an additional 12hrs to enable your nominated pharmacy time to collect your prescription.